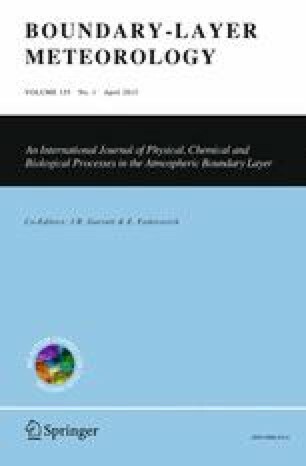 The impacts of surface waves on the steady near-surface wind profiles in the marine atmospheric boundary layer (ABL) are studied based on the Ekman theory, modified by introducing a wave-induced component on the total stress. An analytic solution is presented for the wave-modified Ekman model for an eddy viscosity coefficient varying linearly with height. The solution can be determined by the two-dimensional wavenumber spectrum of ocean waves, the wave-growth or decay rate, the geostrophic wind velocity, the Coriolis parameter and the densities of air and water. Wind profiles are calculated as examples for two cases: one with a monochromatic wave and the other with a fully-developed wind-generated sea. The effects of the surface waves on the wind profiles in the marine ABL are illustrated, and solutions proposed are compared with those of the model where the wave-induced stress is neglected. The solutions are also compared with observations from a tower on Östergarnsholm Island in the Baltic Sea. Illustrative examples and the comparisons between observations and the theoretical predictions demonstrate that the surface waves have a considerable impact, not only on the near-surface mean wind profile, but also on the turbulence structure of the marine ABL, as they change qualitatively the structure of the ABL. The research was supported by the National Basic Research Programs of China (Nos. 2011CB403501), the Strategic Priority Research Program of the Chinese Academy of Sciences (No. XDA11010104) and the National Natural Science Foundation of China (No. 41176016).